A critical missing link in the Parramatta Valley Cycleway will now be completed after State Government funding was secured for the Escarpment Boardwalk project along the Parramatta River. The Escarpment Boardwalk project will complete the walking and cycling path on the northern bank of the Parramatta River, connecting Parramatta Park to Meadowbank. 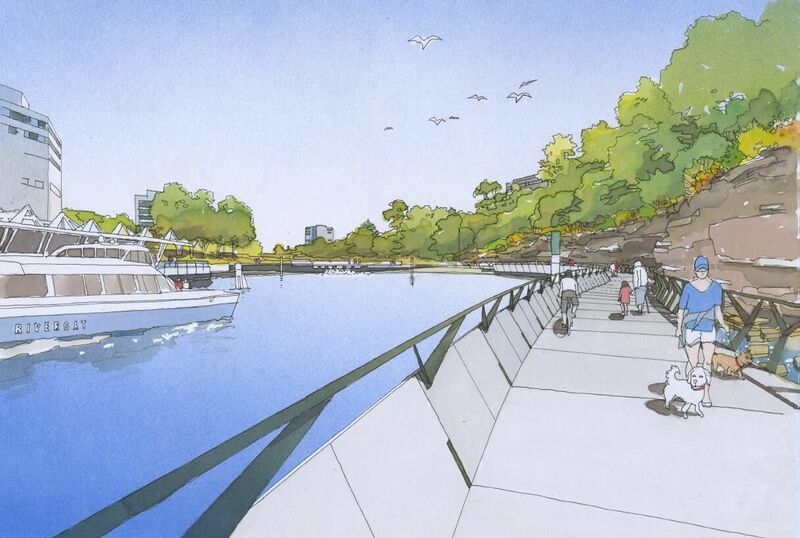 Located opposite the ferry wharf in the Parramatta CBD, the Escarpment Boardwalk will be a river level path that will allow cyclists and pedestrians to access the CBD foreshore on the northern bank. The project will also include an upper level pedestrian link between Queens Avenue and Stewart Street. “I’m delighted that we’ve secured State Government support for this vital project, which will enhance the accessibility and enjoyment of the entire Parramatta Valley Cycleway for cyclists and pedestrians,” Lord Mayor of Parramatta Cr Andrew Wilson said. “This new link will halve the current travel distance, remove steep inclines and avoid a number of road crossings. This will provide much safer access for all path users, including students at Macarthur Girls High School. “It will also improve local traffic flow by reducing the volume of pedestrians and cyclists using the crossing on Macarthur Street. More than $10 million has been allocated to the Escarpment Boardwalk out of the State Government’s Cycling Infrastructure Fund, and construction is expected to be completed in early 2019. 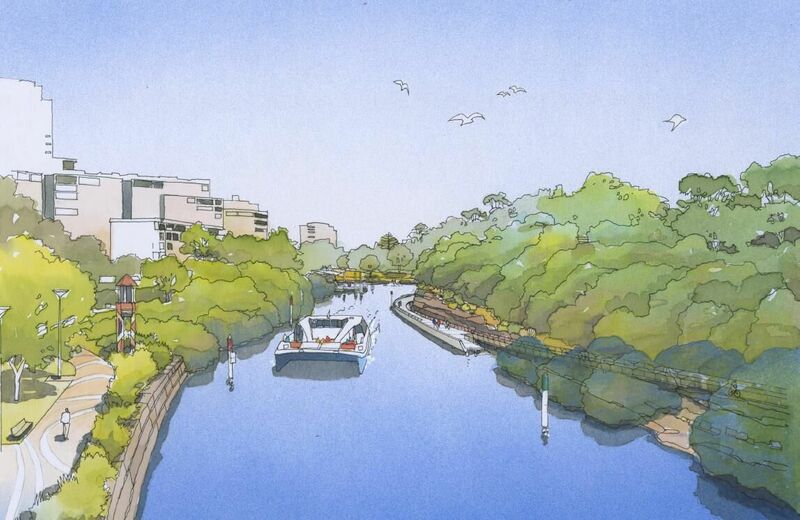 Where possible, construction of the project will be in parallel with Transport for NSW’s Transport Access Program upgrade of the Parramatta Ferry Wharf to minimise impacts to ferry customers, as well as surrounding businesses and residents. NSW Treasurer Dominic Perrottet said funding set aside in the NSW State Budget, to be delivered on Tuesday 19 June, would help build the foreshore path. “Parramatta is one of the three city hubs identified by the Greater Sydney Commission and is already forging a bold new future for Western Sydney,” Mr Perrottet said. In recent years, with the support of both State and Federal governments, there has been significant work undertaken to complete the river foreshore path within the City of Parramatta.